Have you been searching for something to rip through those speakers while driving around working on your left-arm tan? 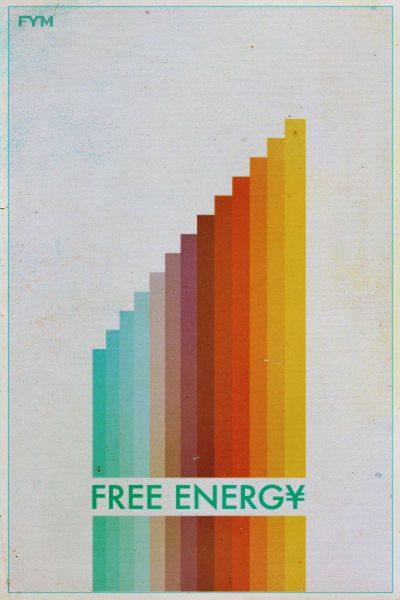 FYM's sonic remedy: revisit Free Energy. The Philly-based broadcasters of hope carry the spirit of summer throughout their 2010 release Stuck on Nothing. Over the winter (as pictured above), FYM had the pleasure of seeing these dudes live the past two times they've played Seattle's landmark venue- The Crocodile. 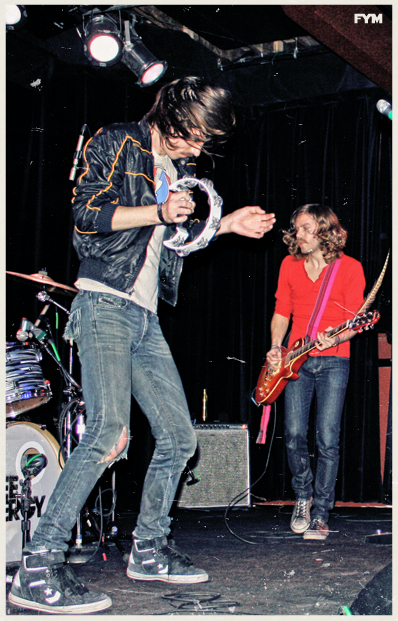 And this July, Free Energy are on the road again, kicking off their Summer 2011 Tour! It's a pretty special trip considering the band will be playing stops on the Tour de Fat (New Belgium Brewing 'trade your car in for a bike') national cycling festival. In other tour news, Weezer just announced that they will be hosting a 4 day rock concert cruise (from Miami to Cozumel) next January 19-23. And Weezer is bringing a few friends along like: FREE ENERGY, Ozma, Dinosaur Jr, Wavves, and The Antlers (just to name a few). View the video posted above for more details! 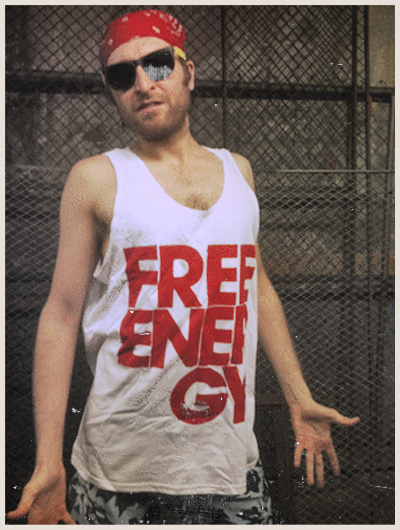 Today, Free Energy also released an image of their latest summer tour merch. Coming from a designer's perspective, the bold typography examines the band as a moniker, paired with the school's out for summer freedom that only a summer-tank can deliver. Want more Free Energy? Visit their website HERE for more information. Cheers, FYM. Words. Photo of Band. Graphic. J Thomas Codling.